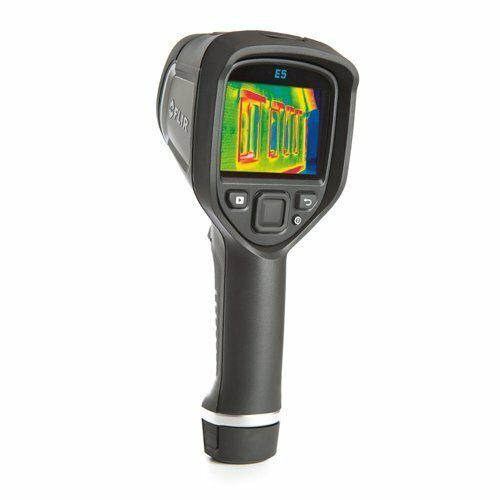 The FLIR E5 Ex-Series Thermal Imaging Camera takes inspections to the next level. With this innovative camera, the highly detailed images allow you to pinpoint where energy loss is occurring, moisture is entering a building and where electrical equipment is not functioning optimally. 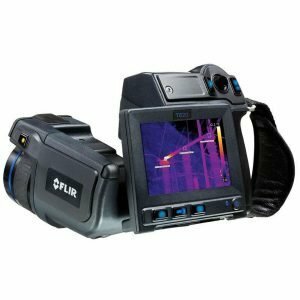 The Flir E5 Ex-Series Thermal Imaging Camera is a cost-effective solution that features 10,800 pixels for highly detailed imaging. By combining an infrared detection system with a visual camera, this remarkable device displays numbers and labels right on the image for ease of use and to assist with explaining problems to clients. 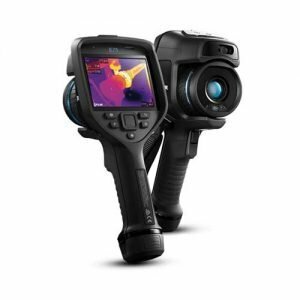 This technology is known as MSX Thermal Image Enhancement, and it’s a key differentiator between Flir Ex-Series imaging solutions and other IR cameras on the market. Using the Flir E5 Ex-Series Thermal Imaging Camera couldn’t be easier. The lens focuses itself to give you a clear image as soon as you point at your target. The intuitive controls and on-screen menu make it very simple to put the camera into the image mode that you require. Even when you’re wearing gloves, workers can perform highly accurate measurements with minimal effort. When a problem is detected, the image can be saved as a JPG file. Then, you can download the image to a computer with a USB cable in order to print an image or share it via email or the cloud. Use the FLIR tools software for image analysis and generating reports that are sure to impress customers. The Flir E5 Ex-Series Thermal Imaging Camera runs on a rechargeable battery with a long life for reliability onsite. A quick release mechanism makes the battery easy to detach for charging when it comes time. Please click on the button to Download the Flir E5 Ex-Series Thermal Imaging Camera User Manual. Please bear in mind that you would need PDF reader to open the file.